Unlike before, cloud computing has attracted the interest of many established businesses. To this end, a large number of businesses are integrating cloud computing as an important business strategy. Companies are understand that cloud computing enables the seamlessly change of various IT aspects without incurring time and money attributed to deploying and configuring new systems. In addition to that, cloud computing enables businesses to be more innovative as compared to traditional computing methods. Cloud computing is bound to continue developing tremendously. It so follows that cloud service management is mandatory. In recent times, it is becoming apparent that companies will not adopt a single but a combination of cloud deployment models. This includes using platform as a service, software as a service and infrastructure as a service. This trend is common with medium and large companies. A company’s ability to handle this hybrid environment will go a long way in determining the success or failure of its cloud computing strategy. 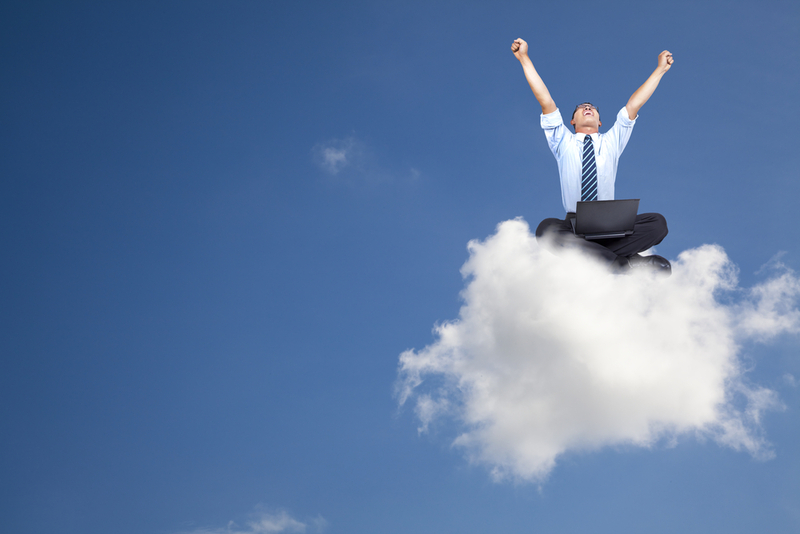 To this end, many companies are putting in place management strategies for clouds. Another aspect associated with the rise of cloud computing is compliance, privacy and governance. Many company executives are worried about cloud security. In addition to that, there have been various opinions as to how safe clouds are. Cloud security strategies are changing as business and IT professionals begin addressing cloud security. This involves coming up with rules and regulations aimed at addressing securities. Open cloud communities will be shunned by companies in future. This is due to the fact that companies will be required to comply with government and industry requirements. In recent times, there has been the rise of public clouds for organizations. These clouds are intended for companies requiring high levels of governance and security. It is important to note that many organizations are turning to private companies in instances whereby governance needs to be enforced. When seeking services of a cloud computing company, an individual or an organization should consider a number of factors. One of the factors that should be considered is the service level agreement. Although service level agreements are not new, their context in cloud computing has not been understood completely. Cloud computing providers offer contractual service agreements. Most of these agreements are aimed at protecting vendors instead of customers. To this end, Service Level Agreements which are customer centric should be enforced. These agreements are bound to address contract terms based on customer requirements and governance. As cloud computing expands, many businesses are focusing their attention to big data security. It so follows that a large number of businesses are investing in technologies which enable them to analyze and manage large data volumes. Many big and medium companies have a lot of departments. Moreover, running these departments entails a host of business operations. There are increased concerns about this data. It so follows that measures should be put in place to ensure that such data does not fall in to the hands of malicious people. Besides that, the company should ensure that the integrity of this data is not compromised. Lastly, the rapidly changing computing environment is bound to have an impact on customer expectations. As cloud computing develops, consumers are bound to have more expectations. Businesses are concerned about client facing environments. The advent of hybrid computing is bound to add to these heightened expectations. It is prudent to note that there is a difference between IT control of the data center and hybrid environment control. This includes capacity on demand and software as a service application among others. It so follows that organizations will demand to evaluate performance based on customer experience. I am Susan Hannan from Exams Key; it gives 100% 9L0-408 exam exams. Let’s take benefit of 3304 exam Exams material efficiently and get guaranteed success. Check out free demo of all certifications Exam.